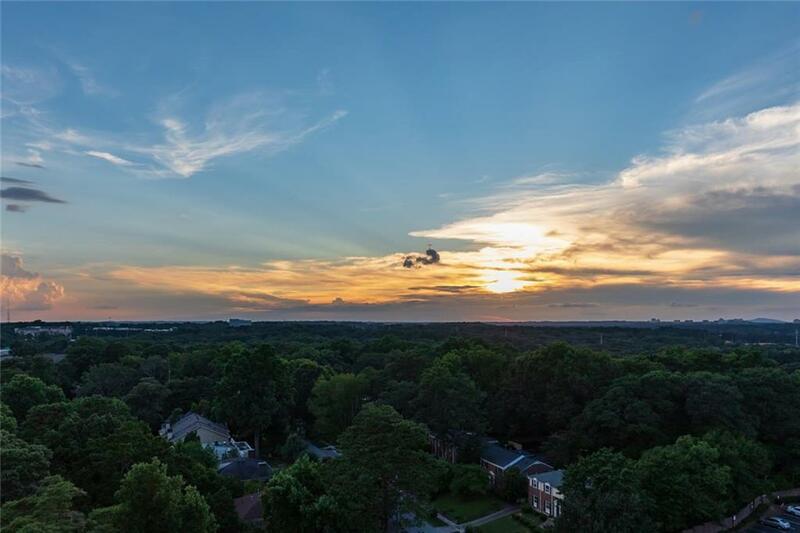 This rare property includes two deeded parking spots, storage unit and cooled wine locker in Clubhouse. 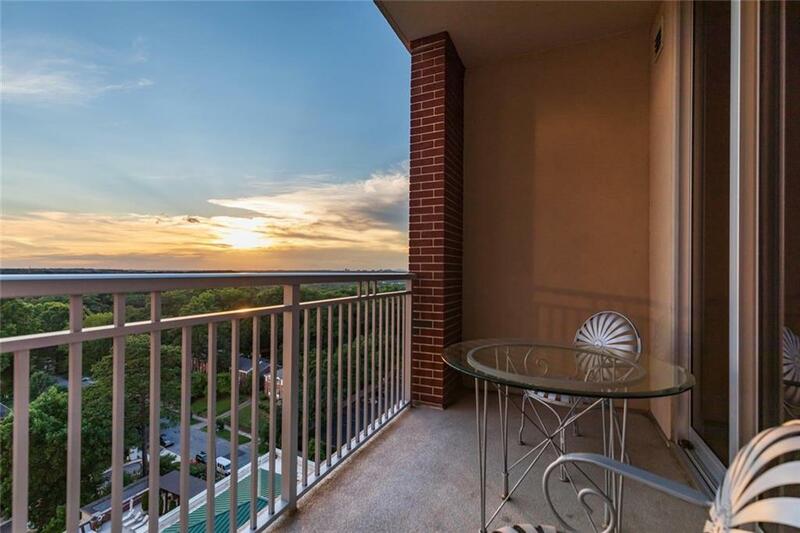 Like new unit in one of Atlantas most desired luxury buildings, very QUIET, amazing westerly views overlooking pool, courtyard, and Ardmore Park- perfect for sunsets! Designer custom lighting, paint colors, and master bedroom drapery. 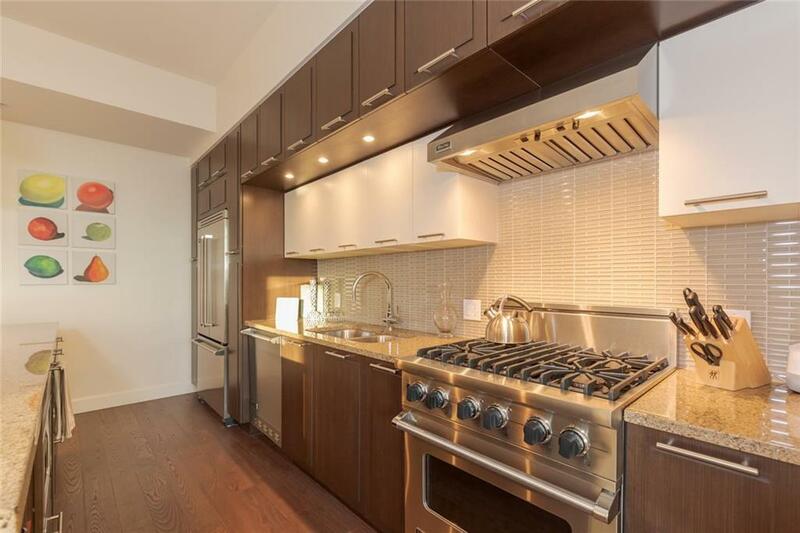 Custom closets, 10 ft floor-to-ceiling windows and two balconies. Viking appliances and gas stove top. 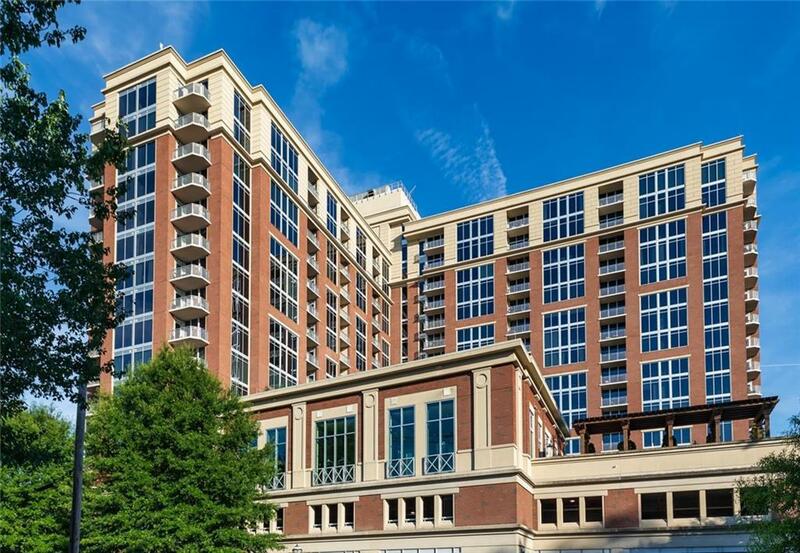 The Brookwood is LEED certified with a 24-hour concierge. Incredible first class amenities and two guest suites. Fenced dog walk.